E-books are digital files of books that can be read on one’s computer. All of AVKO’s materials can be purchased in either a hard copy or e-book format. AVKO’s e-books are in Adobe PDF format; one must have Adobe Acrobat Reader installed on his computer in order to open the e-books. E-books are an alternative to the books, or an accompaniment. AVKO’s e-books are also now available on Amazon’s Kindle e-book Reader. The e-books that come free with membership do not need to be ordered separately via the online shopping cart. You will be able to download these e-books from the members’ section of the website once you receive your login information. Shipping is free for e-books. This is especially nice for people looking to keep within their educational budget or who live outside of the United States. E-books are sent (and delivered via e-mail) must faster than hard copy books. 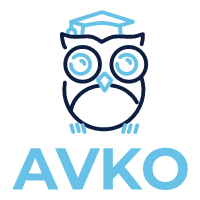 E-books support the AVKO Foundation and its goals of promoting literacy and low-cost educational materials for dyslexics, homeschoolers, and educators more so than hard copy books because of the reduced overhead (labor and manufacturing costs). E-books are searchable. Find the page you were looking for with a simple search on the computer.